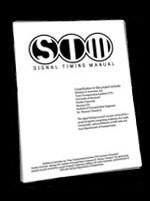 is an 18-month effort to develop a concise, practical, user friendly and modular guide to signal timing practitioners, focusing on the principals of traffic signal timing, identifying sound timing practices, and a practical and comprehensive tabletop resource. The target audience for this manual, expected to be completed in March of 2008, will be state, city and local individuals responsible for the day-to-day timing and coordination of traffic signals, including planning, design, operations and maintenance staff who design, operate and maintain traffic signals, whether it be an individual signal, large signal system or somewhere in between. © Copyright 2007-2008. All rights reserved. Website designed by Kittelson & Associates, Inc.